A free report is nothing more than a short ebook with a fancy name. Reports normally have a very tight focus and are approximately 8-25 pages and in a pdf format. 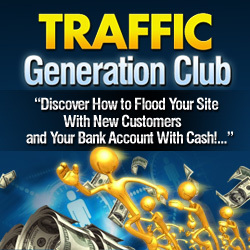 How can a free report help you get traffic? A free report can help you in a number of ways. The most common way free reports are used is to increase subscribers to your mailing list. The benefit of getting more subscribers is that you can then bring them back to your website on a regular basis. If you have an autoresponder, set it up so that the first message that your prospect receives is the special report, as promised. This provides value to your subscriber, which creates a loyal reader. Then, of course, continue to follow up with information, tips, or special offers for your subscribers on an ongoing basis. How can you create a free report? It’s simple. The easiest way to create a free report or bonus is to create your document in Word for Windows (or your favorite word processing software). From there, you can find a number of free converters that will convert any document into a pdf. Of course there are paid products available, as well, that have more bells and whistles. If the thought of writing or converting your pdf is too overwhelming to you, outsource it. Hire a ghostwriter to write the document. Then, you can personally edit the document to include special offers or promos, and pass it to a Virtual Assistant to convert the document to a pdf. Another way a free report can generate traffic is by links in the body of the report itself. If you have an affiliate program, write an information-packed report and allow your affiliates to brand it with their affiliate links for your program. They’ll be spreading your report all over the internet for you — and each one will have links coming into your website. Donate a free report as a bonus for a popular product already in the marketplace in your niche. If you brand the report with the affiliate link of the person who is selling the product and they can make them money, they’ll likely include it as a bonus for people who purchase their products. If the report is exclusive to them, they’ll be very likely to include it in their bonuses — and you can benefit in the long-term because of it.